The Ministry of Energy and Energy Industries recently released figures which indicated that the average gas production for the year 2017, increased slightly from the previous year. While this increase only accounted for one percent, it represents the first year-on-year increase in average natural gas production since the year 2013. With an investment of approximately US$2 billion, Juniper is BP’s first subsea field development in Trinidad. 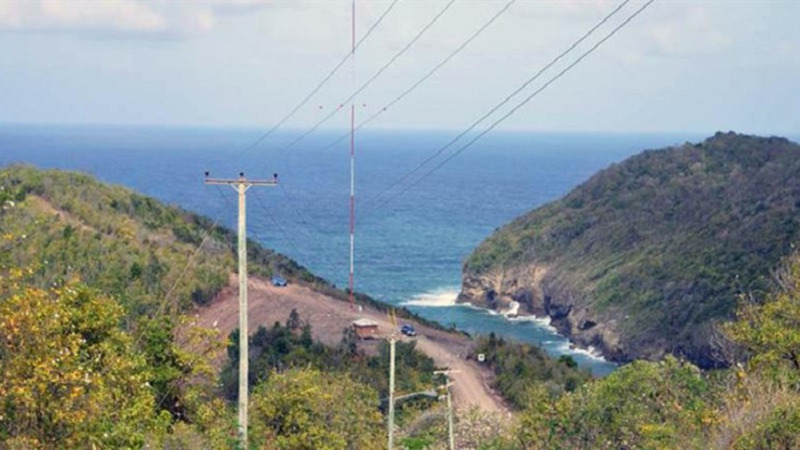 It produces gas from the Corallita and Lantana fields via the new Juniper platform, 80 kilometers (50 miles) off the south-east coast of Trinidad in water approximately 110 meters deep. 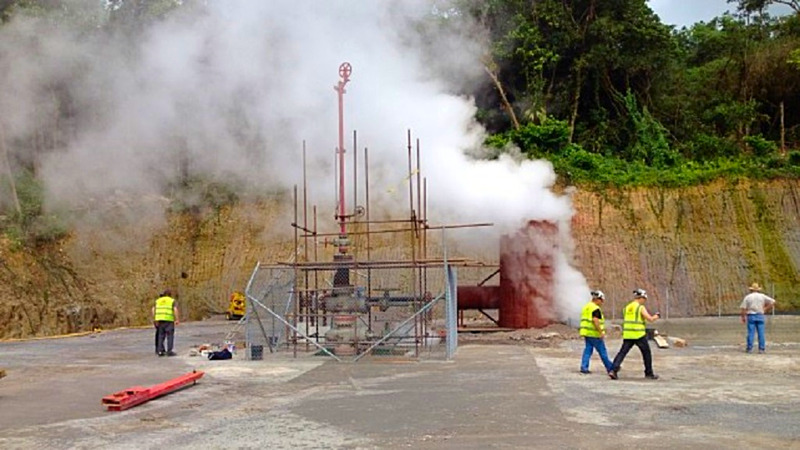 The gas then flows to the Mahogany B hub via a new ten-kilometer flowline that was installed in 2016. 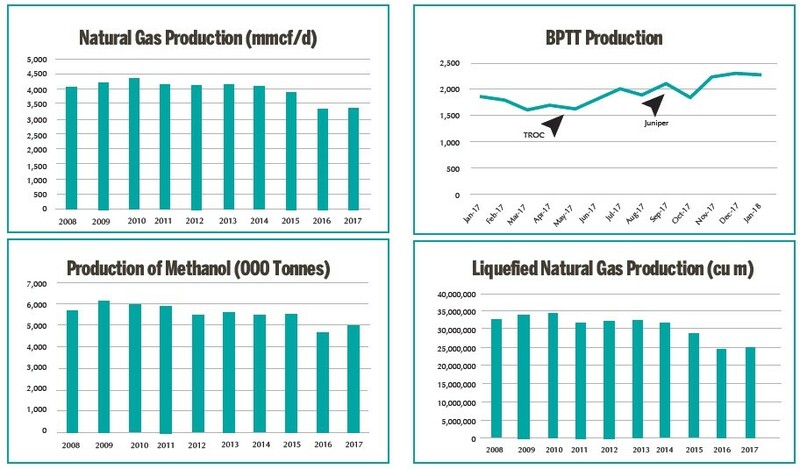 These two projects aided in raising bpTT’s overall production back up to 2.3 billion cubic feet of gas per day by the end of 2017. bpTT’s average production in 2017 was 12% above their 2016 figures, allowing the company to remain, undoubtedly, the biggest gas producer in the country, while accounting for 56% of total production in 2017. 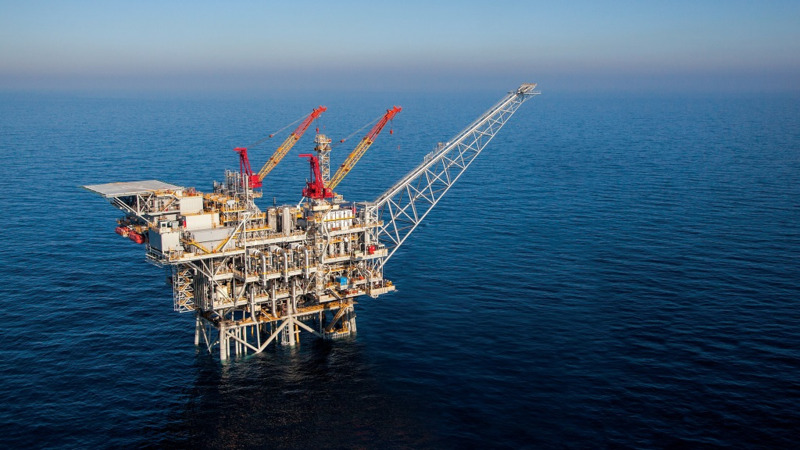 Though increased production was positive news for the sector, it must be noted that the overall production stood at approximately 3.4 billion cubic feet of gas per day which significantly falls short of the total installed demand of more than 4 billion cubic feet of gas per day. bpTT can credit these new projects coming onstream for the welcomed increase, but this was still offset by continued natural field decline from operators. 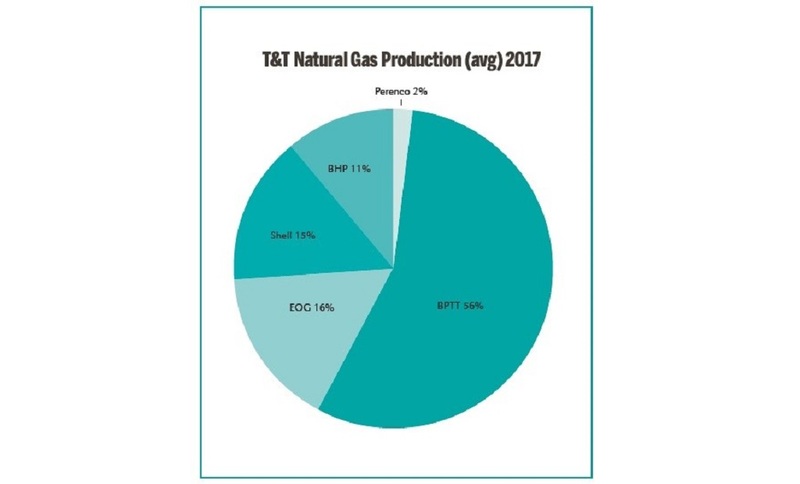 One factor which must also be mentioned is that EOG Resources overtook Shell to become the second largest producer of natural gas in Trinidad and Tobago, for the time being at least. That second position may be switched up once again when Shell’s Starfish comes on stream in the following months. EOG managed to maintain its production above 500 mmscf per day for the majority of 2017, whereas Shell’s production fluctuated from a peak of 619 mmscf per day in February to a low of 253 mmscf per day in October. As previously mentioned, an increase in gas production equals positive news for the gas-starved downstream, which includes the Liquified Natural Gas (LNG) and petrochemical sectors. LNG, ammonia and methanol production have all show a year-on-year surge as well. Methanol production saw a growth of approximately 6.8%, whilst LNG production was roughly 2.7% more than 2017. 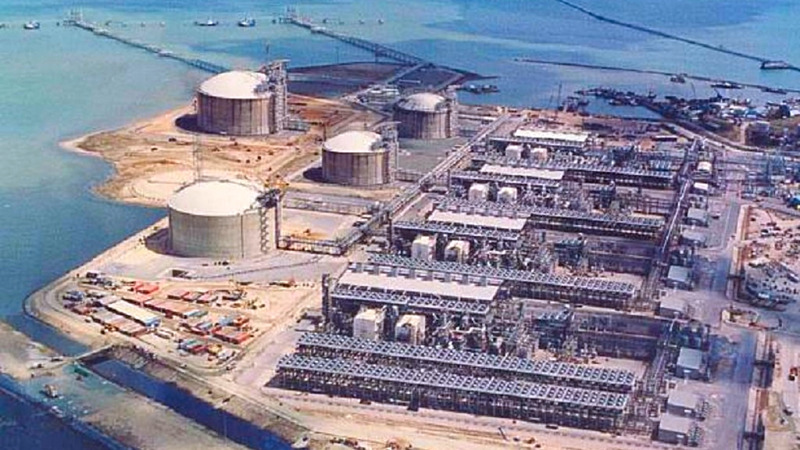 The Ministry of Energy and Energy Industries has not yet released a final figure for ammonia production. As a country whose economy is fossil fuel based, we must hope for these production increases to continue if we are to prosper financially.